I’ve told door-to-door missionaries that I suddenly have a bout of explosive diarrhea. That really works, and they skedaddle quickly. And, I’ve never changed my weight on my driver’s license, so I haven’t gained a pound in more than 40 years. Score! 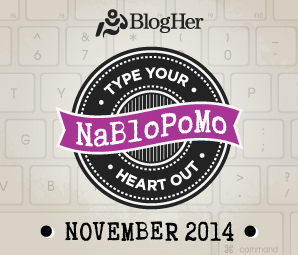 I’m participating in NaBloPoMo, a writing exercise that involves writing a blog every day for the month of November. I’m joining a group of midlife women who are blogging today about their lives, only they are including six comments and one is a lie. I’m not comfortable telling a lie to friends, but in the spirit of the game, this is my contribution. Here are six comments about me. Five are true and one is not. Which one is the lie? I rode on a bull elephant in a jungle in Nepal and witnessed a tiger kill a water buffalo. I floated down the Nile to visit the ancient Temple of Luxor. I love beer and ‘brats after a day of fishing. I sang in the American Cathedral in Paris. I rode my horse in the barrel race at the Gooding County Fair and Rodeo. I can write forward and backwards using two hands while singing in Latin. I was going to write that I won a graceful, debutante competition at a fancy cotillion and I wore six-inch heels and waltzed the night away, but that would be too easy to spot as an outrageous fabrication with no resemblance to truth. The consequence of that statement would be that no one could keep a straight face when contemplating such an outrageous scenario. The real lie will be exposed in tomorrow’s blog. Oh my goodness I have no idea but I’m going with #6. This is fun! This is TOUGH, Elaine! I’m going with #3. Something about the wording makes me think there’s a falsity there. Like maybe you do like beer and brats, but it’s after skydiving, not fishing. Or you like beer and burgers after fishing. Maybe I’m reading too much into the whole thing,. Oh, good list! I’m going with #4, using the same (un)scientific method I’ve used on some of the other posts. today. Hmm. Three and six. It’s between those two for me. I’ll go with #6 being the lie. Though I think you could do it if you really, really tried. It has to be #6, though if anyone could do that, I bet it would be you.